Open Tuesday – Sunday 10 a.m. – 4 p.m. Admission is always FREE for members, active military, and retired career military personnel. School Groups (K-12): please click here or call (607) 547-1461. All admission rates are subject to change without notice. The Glimmerglass Festival and Fenimore Art Museum have joined to offer groups of 15 or more “Art Across Town,” an afternoon indulging in the artistic sights and sounds of Cooperstown. 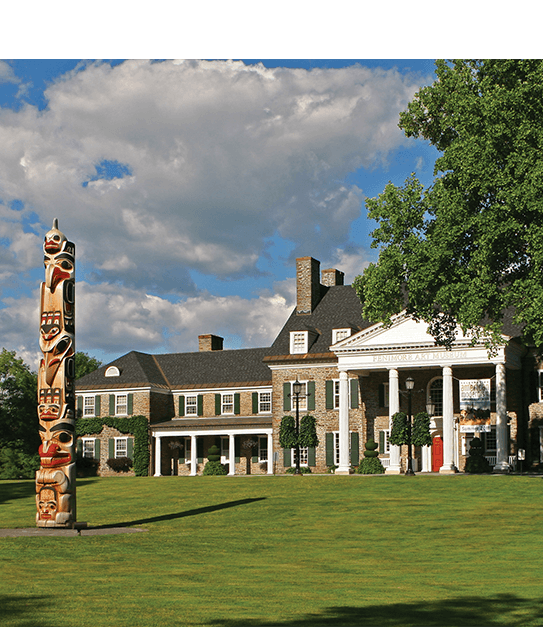 Enjoy a guided tour of The Fenimore Art Museum, followed by a catered picnic on the grounds of The Glimmerglass Festival. Go behind-the-scenes at the Festival with a backstage tour and stay for the mainstage performance of your choice. To book your group for “Art Across Town” or for more information, contact Glimmerglass Group Sales & Box Office Assistant Sean Sansevere at (607) 547-0700 ext. 241 or ssansevere@glimmerglass.org. Overlooking Otsego Lake, the Fenimore Café’s terrace offers one of the most spectacular views of Fenimore’s “Glimmerglass” – it’s the perfect spot to enjoy a glass of wine or indulge in a sumptuous dessert. Visitors may dine at the café without paying the Museum entry fee. Restrooms are located on the Upper and Lower levels. The Lower level restrooms are handicapped accessible and have baby changers. Drinking fountains are located outside the Lower level restrooms. All of the Museum’s public galleries are accessible to wheelchair users and other visitors who need to avoid stairs via an elevator that is large enough to accommodate motorized wheelchairs. Small coin-operated lockers located in the Visitors’ Room. The Fenimore Museum Shop located on the main level of the Museum includes special merchandise and elegant jewelry from regional artists, Native American works of art, books and gifts related to fine art, folk art and the history of New York State. Visit our online store. And if that is not enough we invite you to walk across the street to the newly redesigned Farmers’ Museum Store and Todd’s General Store. The Museum Store and Todd’s General Store offer unique handmade crafts created right there at The Farmers’ Museum as well as even more products based on the history and culture of New York and America. The Fenimore Café is the perfect spot to enjoy a light lunch, a glass of wine, or locally brewed beer. Try our delicious homestyle soups, fresh made sandwiches, wraps and desserts. Choose from a wide selection of hot and cold beverages. The dining area is situated on the museums terrace and is surrounded by beautiful plantings and a panoramic view of Otsego Lake. It is an experience not to be missed. Indoor seating is also available. 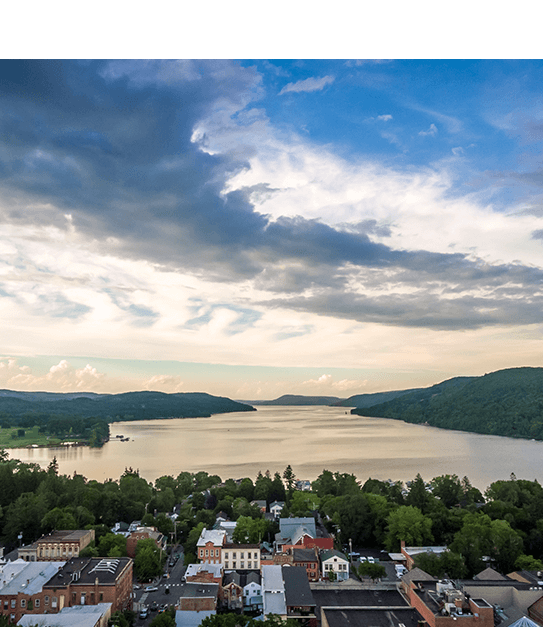 Residents of the Cooperstown area love their community, its scenic surroundings, its rural traditions and, most especially, its “Main Street” way of life. The Village is peppered with historic buildings, each with a fascinating story. As a popular tourism destination, Cooperstown offers a small town aesthetic to many thousands of passers-through each summer. Cooperstown comes alive with family activities, entertainment and attractions; from a swim at a cool lakeside beach, to sailing, to hiking and fishing, to shopping, dining, or a stop at one of many area museums. The natural beauty and rich history of Fenimore Art Museum and The Farmers’ Museum create a unique setting for any special event. The museums’ expert event planning staff can help you with the details of any function from meetings and conferences to formal weddings and receptions. A number of locations throughout the properties are available to accommodate a variety of needs. The terrace gardens overlook historic Otsego Lake and offer an elegant setting for cocktail receptions The gardens and neo-Georgian museum building provide a timeless background for any event. The gazebos in the gardens offer a special location for a small luncheon meeting, tea or dinner. The lush lawn behind the museum sweeps to the lakeshore and is a magnificent site for a luncheon, dinner or elegant wedding reception. Tents accommodating up to 1000 guests can be situated on the lawn. Inside the Fenimore Art Museum, our fully equipped 121-seat auditorium provides an excellent venue for small conferences,meetings and lectures. 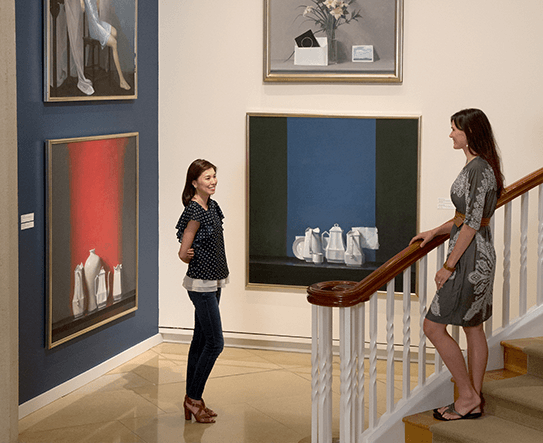 On occasion, by special arrangement only, selected exhibition galleries can be open for your guests to enjoy a private viewing of our exhibitions. Curatorial tours are available by reservation on a limited basis. Lakeside Lawn—Will accommodate a tent seating up to 350 guests and offering a glorious view of Otsego Lake. Lucy B. Hamilton Amphitheater— Built into the natural slope near the shores of Otsego Lake, the 125-seat Lucy B. Hamilton Amphitheater seamlessly joins nature with culture and features the lake as the natural backdrop. Our carefully selected and approved caterers offer a wide variety of unique menus. Service is impeccable and any special food and beverage selections can be accommodated including ethnic cuisines of all kinds. For further information and booking, please call the museum’s Facility Rentals and Adult Group Tours Manager, Anne Tandle, at (607) 547-1495 or complete the online form. 1. Take I-90 east to Exit 30 at Herkimer. 2. Take Route 28 south to Cooperstown. 3. At the stop sign turn left onto State Highway 80 east/Chestnut Street. 4. Continue one block beyond the traffic light and turn left at stop sign following State Highway 80 east/Lake Road. 5. Continue 1 mile. The Farmers’ Museum is on the left. 1. Take I-90 west to Exit 25A. 2. Take I-88 west to Exit 24 (Duanesburg) and get on Route 7. 3. Follow Route 7 to Route 20 west. 4. Take Route 20 west approximately 43 miles, turning left on State Highway 80 west which travels south along Otsego Lake. 5. Continue on State Highway 80 west for 10 miles. The Farmers’ Museum is on the right. 1. Take I-88 east to Exit 17. 3. Follow State Highway 80 east/Chestnut Street to traffic light. 4. Continue one block beyond traffic light and turn left at stop sign, following State Highway 80 east/Lake Road. 1. Take I-87 south to Albany. 2. Take I-90 west to Exit 25A. 3. Take I-88 west to Exit 24 (Duanesburg) and get on Route 7. 4. Follow Route 7 to Route 20 west. 5. Take Route 20 west approximately 43 miles, turning left on State Highway 80 west which travels south along Otsego Lake. 6. Continue on State Highway 80 west for 10 miles. The Farmers’ Museum is on the right. 1. Take I-87 north to I-90. The closest Amtrak stations to Cooperstown are in Utica (approximately 40 miles north of Cooperstown) and Albany-Rensselaer (approximately 80 driving miles east of Cooperstown). For schedule information and ticket prices, call Amtrak’s toll-free number (800.USA.RAIL) or visit their website. Trailways provides bus service to Cooperstown from many cities. Call Trailways (800.858.8555) for schedule information and ticket prices or visit their website. Oneonta Public Transit (OPT) provides bus service between Oneonta and Cooperstown. Call OPT (607.432.7100) for schedule information and ticket prices or visit their website. Otsego Express provides bus service between Cooperstown and various locations in Otsego County. Call Otsego Express (315.822.6444 or 800.388.9853) for schedule information and ticket prices. The Farmers’ Museum and Fenimore Art Museum are regular stops on the Cooperstown Village Trolley route which operates from Memorial Day Weekend through Labor Day, daily from 8:30 am to 9:00 pm; after Labor Day through Columbus Day, weekends only from 9:30 am to 7:15 pm. A Daily Individual Pass is $2.00 and a Daily Family Pass is $5.00. Riders can track the Cooperstown trolleys at cooperstowntrolley.com. Door to door, the Fenimore Art Museum is 1.3 miles from the Baseball Hall of Fame and Museum, 1.1 miles from the traffic light and one mile from the Otesaga Hotel and Resort. Please note that there are no sidewalks along State Highway 80 for the last .3 miles of the walk. The natural beauty and rich history of Fenimore Art Museum and The Farmers’ Museum create a unique setting for any special event. The museums’ expert event planning staff can help you with the details of any function from meetings and conferences to the most formal weddings and receptions. A number of locations throughout the properties are available to accommodate a variety of needs.